Since the early 1970s, canaryseed has become established as an alternative cereal crop for Saskatchewan farmers. 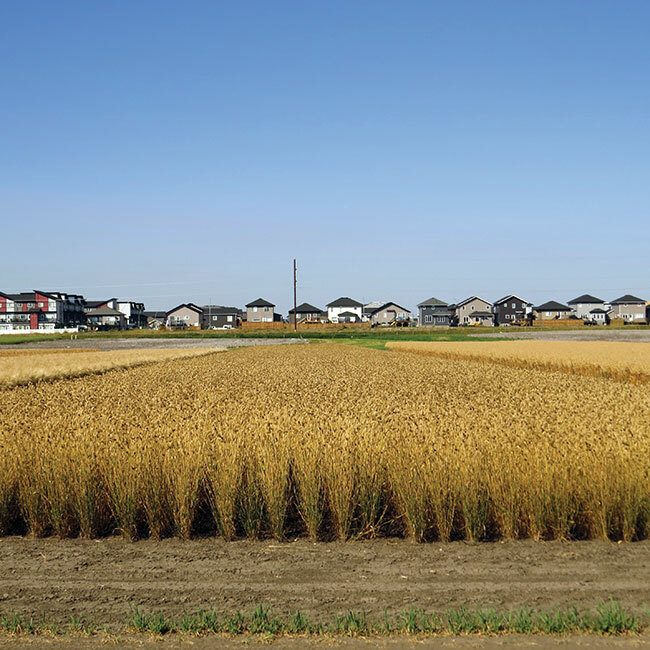 The province produces approximately 90 per cent of the canaryseed grown in Canada and about 65 per cent of the global supply of the crop, which is used to feed wild and caged birds the world over. Now, canaryseed was recently approved for human food use in Canada and the U.S., offering the potential for new opportunities for Saskatchewan producers. The type of canaryseed approved for human consumption has ‘hairless’ seed and was developed by Pierre Hucl, a long-time canaryseed breeder at the University of Saskatchewan (U of S) in Saskatoon. The hairy shell of canaryseed has largely limited its use to bird feed and can cause human skin and eye irritation during harvest and processing. Hucl, who first started working on a hairless variety about 20 years ago, says the original idea was to remove the hairs to make the crop easier to handle. In addition to being gluten-free, canaryseed is high in protein, high in fat, and is a rich source of folate, phosphorous, magnesium, and manganese compared to other cereal grains. Potential food applications include adding the whole seed product to protein bars and whole grain breads, or grinding up the seed to make canaryseed flour. In 2016, Hucl’s hairless canaryseed earned the designations of Generally Recognized as Safe (GRAS) by the U.S. Food and Drug Administration and novel food by Health Canada, which recognizes that the substance is safe and can be lawfully used in food products. Kevin Hursh is the executive director of the Canaryseed Development Commission of Saskatchewan, which was established in 2006 to help fund agronomic research and variety development as well as the extensive work involved in getting canaryseed registered for human food use. 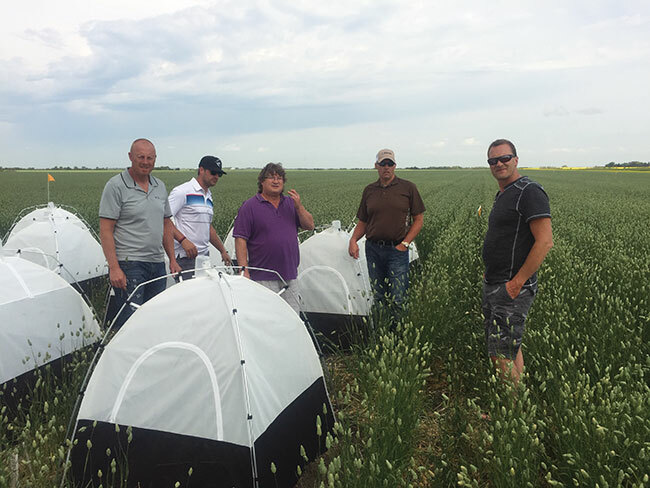 Carol Ann Patterson, a food scientist with The Pathfinders Research & Management Ltd. in Saskatoon, orchestrated the toxicology, compositional and nutritional research needed to get canaryseed registered for human food use. “She did just a tremendous amount of work on this file,” Hursh says. Today, research scientists like Lamia L’Hocine at AAFC’s Saint-Hyacinthe Research and Development Centre in Quebec continue to study the nutritional aspects of canaryseed and its unique starch, protein, and oil components for food as well as other uses, such as animal feed. A Saskatchewan canaryseed field in mid-July. 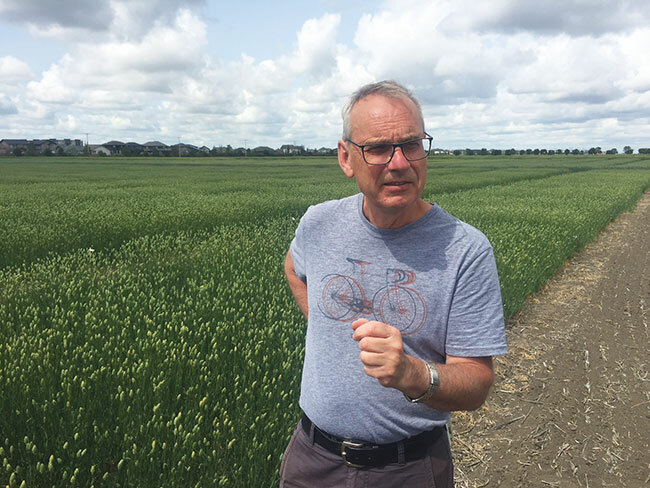 Up to now, hairless canaryseed hasn’t yielded quite as well as regular varieties, so Hucl, who works out of the U of S department of plant sciences’ Crop Development Centre, has been focusing on producing new hairless lines that are higher yielding. “Producers are going to want to grow the highest yielding material they can . . . so closing or eliminating the gap between hairless and hairy varieties is something I’ve been working on,” says Hucl, who recently released a new yellow hairless variety that boasts higher yields and agronomic advantages such as stronger straw. Bill May is another long-time canaryseed scientist. Working at AAFC’s Indian Head Research Farm in Indian Head, Sask., he’s been studying agronomic aspects of the crop, such as the right rates for seeding and fertilizer applications as well as herbicide and pesticide tolerances, for the past 20 years. 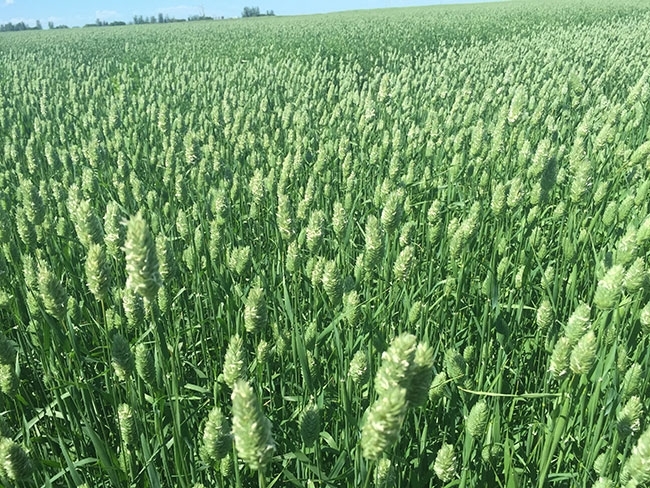 “To keep canaryseed as a viable crop in Western Canada, you have to do agronomic research on the crop to keep the production practices current,” May says. May is currently carrying out a crop sequencing study involving canaryseed and researching chloride and micronutrient applications in the crop. The results so far indicate that canaryseed isn’t more responsive to micronutrients than other cereal crops, but that’s not the case with chloride, a key component of potash. Hursh, who’s been planting canaryseed at his farm near Cabri, Sask. since the 1980s, estimates there are about 1,000 farmers in Saskatchewan also growing it in any given year. He says there are numerous reasons why canaryseed is considered a valuable alternative crop. For example, Hursh says, if the weather’s wet around harvest time, canaryseed won’t shatter and lose quality like some other crops. “It’s quite forgiving to grow, and it isn’t a big nitrogen user,” he says. This makes canaryseed a little less expensive to farm than many other crops, he adds, and depending on the market conditions, it can be a profitable option for growers in many years. Another key benefit is that canaryseed allows cereal producers to diversify by providing with them a different market. “It doesn’t fluctuate in the same timeframe as other markets do, and it’s more stable for farmers when they have multiple markets to sell their crops into,” May says. As Hursh points outs, some Saskatchewan companies are already testing the waters for new markets for hairless canaryseed that’s had the hulls removed. Canpulse Foods Ltd. recently added a canaryseed dehulling line at its food processing facility in Zealandia, Sask. in anticipation of future demand, Hursh says, while Infraready Products Ltd. of Saskatoon has provided some dehulled canaryseed product to food ingredient companies to try out.